Come out for a fun, fun, fun run around Woodinville wine country and taste some of the States finest wines! Welcome to HOLLYWOOD! Starring: Adams Bench Winery, Brian Carter Cellars, Chandler Reach Winery, Hollywood Hill Vineyards, J. Bookwalter Winery, Matthews Estate, Northwest Totem Cellars, Woodhouse Family Cellars. Friday, April 17th from 4:00-8:00pm! If you have ever tasted Northwest Totem Cellars Late Harvest Viognier you would not miss this event! Samples of Totem’s 2008 Late Harvest Viognier will be pulled fresh from the tank before bottled. There will also be some homemade, organic pizzas and dessert as well as other wines that will be available for tasting. No fee for this event. 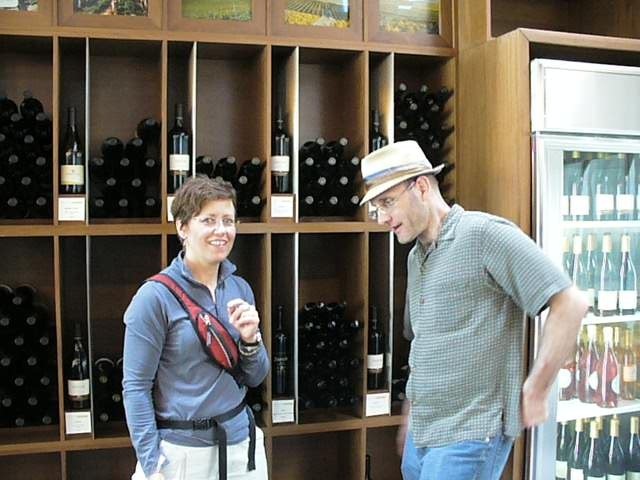 Hollywood Hill Vineyards: INTRODUCING THE TASTING CLUB! This has got to be good! Come and see how the final step in the winemaking process works as we bottle our 2007 wines. Check it out and then sample these upcoming releases before they go back into the cellar for up to 12 months before release. We’ll go until we’re done so come early to be sure to catch the action. Plus many more great April wine events… check it out at Woodinville Wine Country! And one more honorable mention for a “must read”…. Adams Bench wrote a great article on cork called The Portugal Cork Adventure. Mo, I like the blog. Very cool! It looks very professional.